The William Herschel Society is pleased to announce that their 2018 Caroline Herschel Prize Lectureship has been awarded to Dr Sarah Rugheimer, Simons Research Fellow at the School of Earth and Environmental Sciences at the University of St Andrews. Dr Rugheimer is an outstanding early career researcher studying the atmospheric composition of exoplanets, and the potential of these atmospheres to provide fingerprints of conditions that can sustain life. 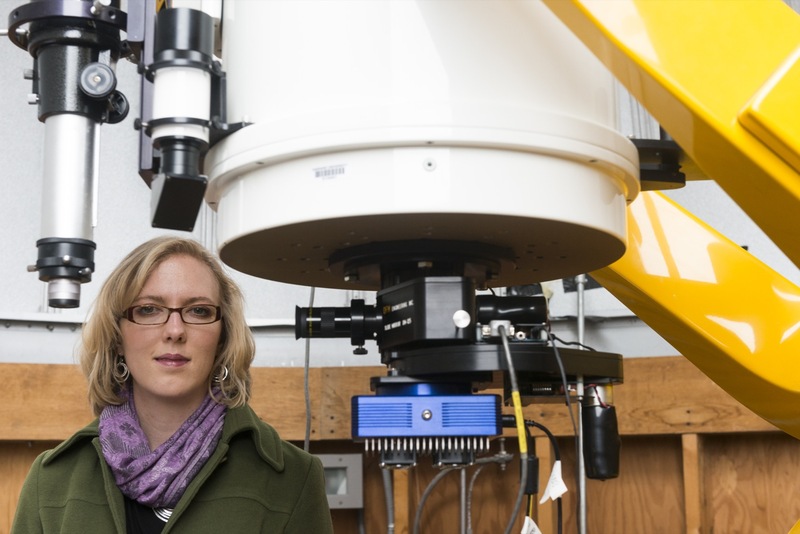 Her key results include showing how clouds can complicate the detection of oxygen in an exoplanet’s atmosphere, and how a star’s ultraviolet radiation affects the ability to detect signatures of life on its orbiting planets. Her energy and vision were central to the creation of the Centre for Exoplanet Science at St Andrews, where she has integrated and utilised insights ranging from the geochemical and isotopic character of the Earth’s rock archive to the fundamental physics of how a planet’s atmosphere forms. Her lectures demonstrate a rare clarity of understanding, and she has proved effective at presenting scientific concepts to the public. Her Caroline Herschel Prize Lecture will be on “Hues of Habitability – Characterising Pale Blue Dots around Other Stars”.